Ely sits right on the edge of the famed Boundary Waters Canoe Area Wilderness, a 1 million acre tract of pristine forests intersected by 1500 miles of canoe routes. The BWCAW is protected and managed by the US Forest Service and is treasured and enjoyed by Ely’s residents and visitors alike. 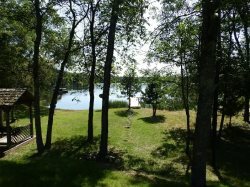 Here there are few signs of the outside world .. the area remains in a natural state and the experience for today’s visitors is much the same as that for the early Native American residents, the colorful Voyageurs, and the hardy hunters, trappers, and prospectors from past centuries. Guests in Ely’s private homes and resort cabins can experience the BWCAW magic in several ways. CANOE DAY TRIPS ... Just grab a canoe, a couple of paddles and plan to spend a peaceful day paddling the BWCAW wilderness waters. The travel permit for day trips is FREE. Paddle alongside a friendly loon, do a little fishing, or just find a special spot on the shoreline for a nice picnic lunch. elylodging.com is happy to help you find a route that meets your crew’s interests and skills. 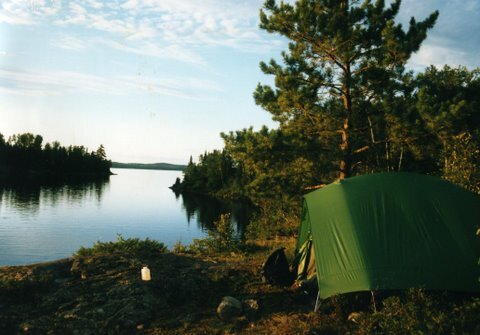 OVERNIGHT CANOE TRIPS ... For something special during your stay, plan to spend a night or two under a canopy of stars on a remote wilderness campsite. There’s a small fee for the overnight travel permit plus a per-person camping fee; these permits are issued on a quota system and should be reserved well in advance of your visit. elylodging.com can assist you in getting the best permit available, helping you plan your route, and putting you in touch with a local outfitter for the equipment and gear to make your trip into the wilderness just perfect. for maps and points of interest to help make your journey into the BWCAW most enjoyable.